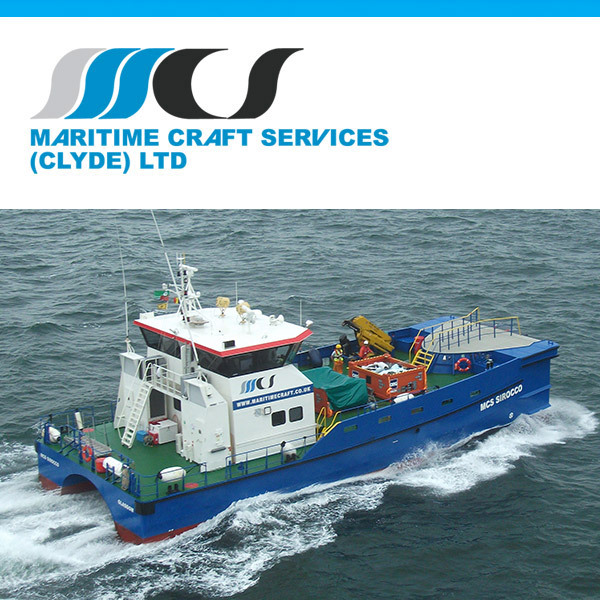 Maritime Craft Services (Clyde) Ltd was formed in 1977 as owners and operators of tugs and workboats primarily providing support vessels for dredging and marine construction projects throughout the UK and worldwide. In 2002 we worked on our first Offshore Wind Farm and to date we have worked on most Offshore Wind Farms throughout the UK and NW Europe. All of our vessels are fully classed and our crew are STCW certified and are highly skilled, experienced and safe. We are ISO 9001: 2008, 14001 and OHSAS 18001 certified and offer an effective and efficient shoreside support team, including 24/7 Director level contact.